Mehri Yalfani was born in Hamadan, Iran. After high school, she moved to Tehran to pursue her education in engineering at the University of Tehran. She graduated in 1963 with a degree in electrical engineering and worked as an engineer for twenty years in government administration and at the Tehran Cement Plant. Mehri Yalfani began to write when she was in high school. 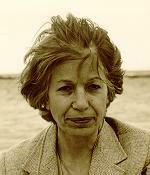 Her first short story collection was published in 1966 and a novel, Before the Fall, in 1980, both in Iran. In 1987 Mehri Yalfani immigrated to Canada and has since published many short stories in Iranian publications as well as a short story collection, Birthday Party, in 1991 and a second novel, Someone is Coming, in Sweden in 1994. She writes in Persian, her mother language and wishes one day to translate all her work into English.